Planning for adaptation (to address and prepare for impacts) and mitigation (to reduce future climate change, for example by cutting emissions) is becoming more widespread, but current implementation efforts are insufficient to avoid increasingly negative social, environmental, and economic consequences. Actions to reduce emissions, increase carbon uptake, adapt to a changing clim ate, and increase resilience to impacts that are unavoidable can improve public health, economic development, ecosystem protection, and quality of life. Substantial adaptation planning is occurring in the public and private sectors and at all levels of government; however, few measures have been implemented and those that have appear to be incremental changes. Barriers to implementation of adaptation include limited funding, policy and legal impediments, and difficulty in anticipating climate-related changes at local scales. There is no "one-size fits all” adaptation, but there are similarities in approaches across regions and sectors. Sharing best practices, learning by doing, and iterative and collaborative processes including stakeholder involvement, can help support progress. Climate change adaptation actions often fulfill other societal goals, such as sustainable development, disaster risk reduction, or improvements in quality of life, and can therefore be incorporated into existing decision-making processes. Vulnerability to climate change is exacerbated by other stresses such as pollution, habitat fragmentation, and poverty. Adaptation to multiple stresses requires assessment of the composite threats as well as tradeoffs amongst costs, benefits, and risks of available options. The effectiveness of climate change adaptation has seldom been evaluated, because actions have only recently been initiated and comprehensive evaluation metrics do not yet exist. Adaptation actions can be implemented reactively, after changes in climate occur, or proactively, to prepare for a changing climate.1 Proactively preparing can reduce the harm from certain climate change impacts, such as increasingly intense extreme events, shifting zones for agricultural crops, and rising sea levels, while also facilitating a more rapid and efficient response to changes as they happen. FEDERAL: A November 2013 Executive Order calls for, among other things, modernizing federal programs to support climate resilient investments, managing lands and waters for climate preparedness and resilience, creating a Council on Climate Preparedness and Resilience, and the creation of a State, Local, and Tribal Leaders Task Force on Climate Preparedness and Resilience.2 Federal agencies are all required to plan for adaptation. Actions include coordinated efforts at the White House, regional and cross-sector efforts, agency-specific adaptation plans, and support for local-level adaptation planning and action. Miami-Dade County staff leading workshop on incorporating climate change considerations in local planning. NGOs: Non-governmental organizations have played significant roles in the national effort to prepare for climate change by providing assistance to stakeholders that includes planning guidance, implementation tools, explanations of climate information, best practices, and help with bridging the science-policy divide. See regional sections of this Highlights report for additional examples of adaptation efforts. Selected federal, state, tribal, and local actions appear in the Adaptation chapter of the full National Climate Assessment. Adaptation to climate change is in a nascent stage. The federal government is beginning to develop institutions and practices necessary to cope with climate change. While the federal government will remain the funder of emergency responses following extreme events for which communities were not adequately prepared, an emerging federal role is to enable and facilitate early adaptation within states, regions, local communities, and the public and private sectors.1 The approaches include working to limit current institutional constraints to effective adaptation, funding pilot projects, providing useful and usable adaptation information – including disseminating best practices, and helping develop tools and techniques to evaluate successful adaptation. Despite emerging efforts, the pace and extent of adaptation activities are not proportional to the risks to people, property, infrastructure, and ecosystems from climate change; important opportunities available during the normal course of planning and management of resources are also being overlooked. A number of state and local governments are engaging in adaptation planning, but most have not taken action to implement the plans.25 Some companies in the private sector and numerous non-governmental organizations have also taken early action, particularly in capitalizing on the opportunities associated with facilitating adaptive actions. Actions and collaborations have occurred across all scales. At the same time, barriers to effective implementation continue to exist. Carbon dioxide is removed from the atmosphere by natural processes at a rate that is roughly half of the current rate of emissions from human activities. Therefore, mitigation efforts that only stabilize global emissions will not reduce atmospheric concentrations of carbon dioxide, but will only limit their rate of increase. The same is true for other long-lived greenhouse gases. To meet the lower emissions scenario (B1) used in this assessment, global mitigation actions would need to limit global carbon dioxide emissions to a peak of around 44 billion tons per year within the next 25 years and decline thereafter. In 2011, global emissions were around 34 billion tons, and have been rising by about 0.9 billion tons per year for the past decade. Therefore, the world is on a path to exceed 44 billion tons per year within a decade. Over recent decades, the U.S. economy has emitted a decreasing amount of carbon dioxide per dollar of gross domestic product. Between 2008 and 2012, there was also a decline in the total amount of carbon dioxide emitted annually from energy use in the United States as a result of a variety of factors, including changes in the economy, the development of new energy production technologies, and various government policies. Carbon storage in land ecosystems, especially forests, has offset around 17% of annual U.S. fossil fuel emissions of greenhouse gases over the past several decades, but this carbon “sink” may not be sustainable. Both voluntary activities and a variety of policies and measures that lower emissions are currently in place at federal, state, and local levels in the United States, even though there is no comprehensive national climate legislation. Over the remainder of this century, aggressive and sustained greenhouse gas emission reductions by the United States and by other nations would be needed to reduce global emissions to a level consistent with the lower scenario (B1) analyzed in this assessment. Carbon dioxide accounted for 84% of total U.S. greenhouse gas emissions in 2011.26 The vast majority (97%) of this CO2 comes from energy use. Thus, the most direct way to reduce future climate change is to reduce emissions from the energy sector by using energy more efficiently and switching to lower carbon energy sources. In 2011, 41% of U.S. carbon dioxide emissions were attributable to liquid fuels (petroleum), followed closely by solid fuels (principally coal in electric generation), and to a lesser extent by natural gas.26 Electric power generation (coal and gas) and transportation (petroleum) are the sectors predominantly responsible. Achieving the lower emissions path (B1) analyzed in this assessment would require substantial decarbonization of the global economy by the end of this century, implying a fundamental transformation of the global energy system. The principal types of national actions that could effect such changes include putting a price on emissions, setting regulations and standards for activities that cause emissions, changing subsidy programs, and direct federal expenditures. Market-based approaches include cap-and-trade programs that establish markets for trading emissions permits, analogous to the Clean Air Act provisions for sulfur dioxide reductions. Non-CO2 Emissions: Reduction of emissions of non-CO2 greenhouse gases and black carbon (soot); for example, by lowering methane emissions from energy and waste, transitioning to climate-friendly alternatives to HFCs, cutting methane and nitrous oxide emissions from agriculture, and improving combustion efficiency and means of particulate capture. The Federal Government has implemented a number of measures that promote energy efficiency, clean technologies, and alternative fuels.27,28,29,30,31 Sample federal measures are provided in Table 27.1 in the Mitigation chapter in the full report. These actions include greenhouse gas regulations, other rules and regulations with climate co-benefits, various standards and subsidies, research and development, and federal procurement practices. 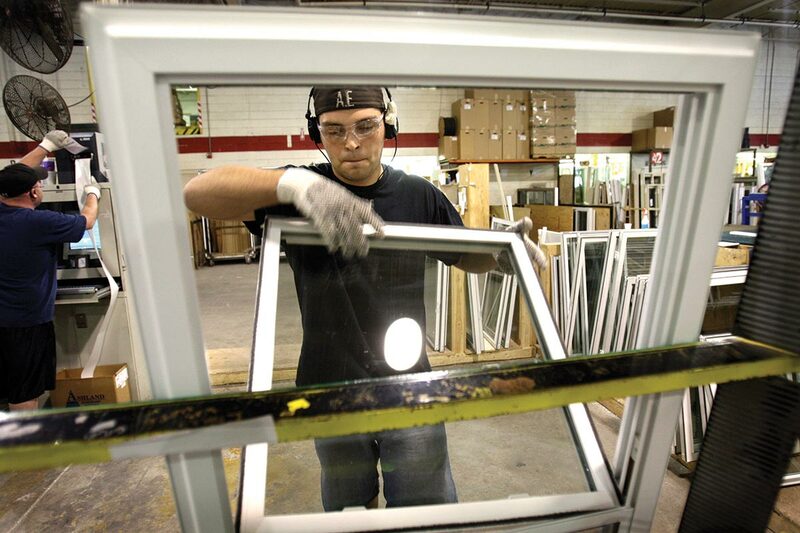 Weatherization can include installing more efficient windows to save energy. For light-duty vehicles, rules establishing standards for 2012-2016 model years and 2017-2025 model years. For heavy- and medium-duty trucks, a rule establishing standards for 2014-2018 model years. Energy efficiency standards and test procedures for residential, commercial, industrial, lighting, and plumbing products. Model residential and commercial building energy codes, and technical assistance to state and local governments, and non-governmental organizations. Weatherization assistance for low-income households, tax incentives for commercial and residential buildings and efficient appliances, and support for state and local efficiency programs. Programs underway that reduce carbon dioxide emissions include the promotion of solar, nuclear, and wind power, and efficient vehicles. For example, the Environmental Protection Agency has the authority to regulate greenhouse gas emissions under the Clean Air Act. The Department of Energy provides most of the funding for energy research and development, and also regulates the efficiency of appliances. identifying new approaches to protect and restore our forests and other critical landscapes, in the presence of a changing climate. 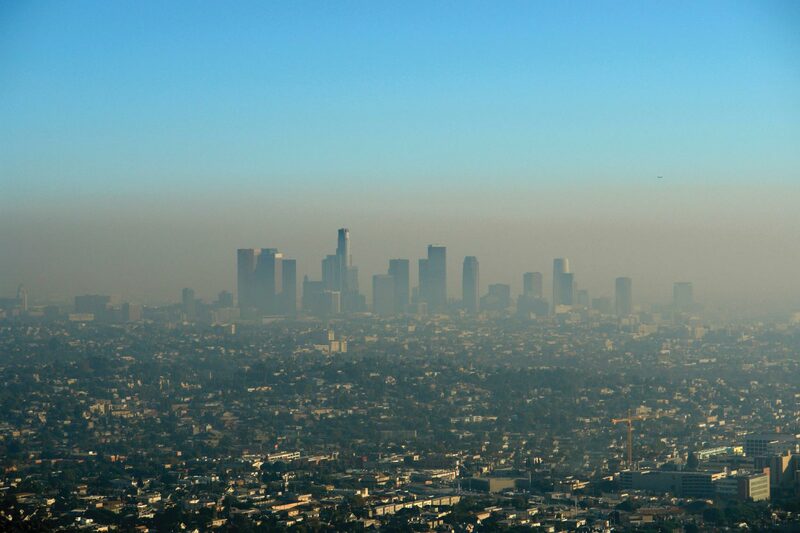 Actions to reduce greenhouse gases can also reduce other air pollutants, yielding human health benefits. Actions to reduce greenhouse gas emissions can yield co-benefits for objectives apart from climate change, such as energy security, ecosystem services, and biodiversity.33,34 In particular, there are health co-benefits from reductions in air pollution. Because greenhouse gases and other air pollutants share common sources, particularly from fossil fuel combustion, actions to reduce greenhouse gas emissions also reduce other air pollutants. Jurisdiction for greenhouse gases and energy policies is shared between the Federal government and states.38 For example, states regulate the distribution of electricity and natural gas to consumers, while the Federal Energy Regulatory Commission regulates wholesale sales and transportation of natural gas and electricity. Many states have adopted climate initiatives as well as energy policies that reduce greenhouse gas emissions. For a survey of many of these state activities, see Table 27.2 in the full report. Many cities are taking similar actions. The most ambitious state activity is California’s Global Warming Solutions Act, with a goal of reducing greenhouse gas emissions to 1990 levels by 2020. The program caps emissions and uses a market-based system of trading in emissions credits, as well as a number of regulatory actions. The most well-known, multi-state effort has been the Regional Greenhouse Gas Initiative (RGGI), formed by 10 northeastern and Mid-Atlantic states (though New Jersey exited in 2011). 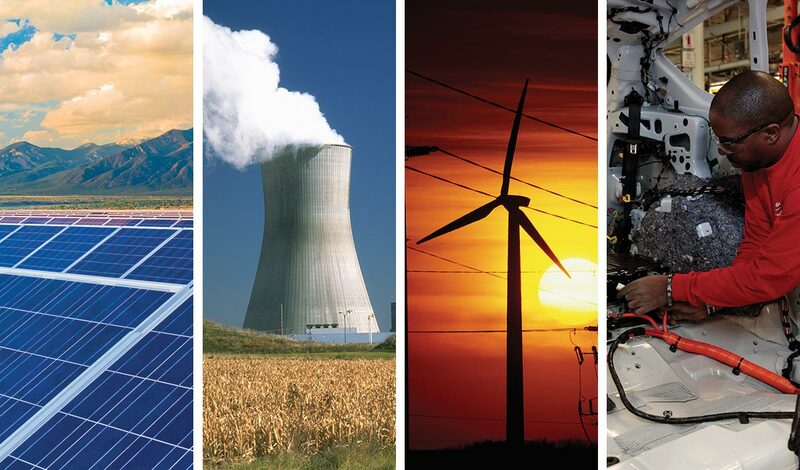 RGGI is a cap-and-trade system in the power sector directing revenue from allowance auctions to investments in efficiency and renewable energy. The Carbon Disclosure Project enables companies to measure, disclose, manage, and share climate change and water-use information. Some 650 U.S. signatories include banks, pension funds, asset managers, insurance companies, and foundations. More than 1,055 municipalities from all 50 states have signed the U.S. Mayors Climate Protection Agreement,39 and many of these communities are actively implementing strategies to reduce their emissions. Federal voluntary programs include Energy STAR, a labeling program that, among other things, identifies energy efficient products for use in residences and commercial and industrial buildings. Mitigation can involve increasing the uptake of carbon through various means of expanding carbon sinks on land through management of forests and soils. Decisions about how to address climate change can be complex, and responses will require a combination of adaptation and mitigation actions. Decision-makers – whether individuals, public officials, or others – may need help integrating scientific information into adaptation and mitigation decisions. 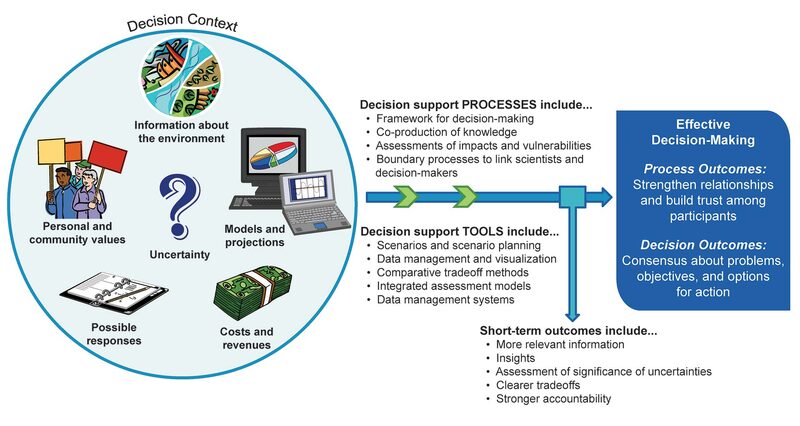 To be effective, decision support processes need to take account of the values and goals of the key stakeholders, evolving scientific information, and the perceptions of risk. Many decision support processes and tools are available. They can enable decision-makers to identify and assess response options, apply complex and uncertain information, clarify tradeoffs, strengthen transparency, and generate information on the costs and benefits of different choices. Ongoing assessment processes should incorporate evaluation of decision support tools, their accessibility to decision-makers, and their application in decision processes in different sectors and regions. 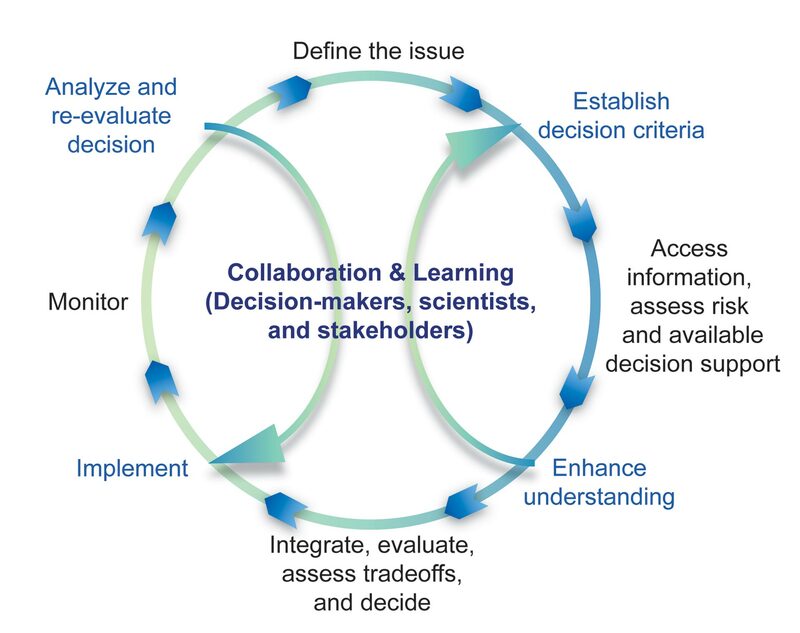 Steps to improve collaborative decision processes include developing new decision support tools and building human capacity to bridge science and decision-making. As a result of human-induced climate change, historically successful strategies for managing climate-sensitive resources and infrastructure will become less effective over time. Decision support processes and tools can help structure decision-making, organize and analyze information, and build consensus around options for action. Although decision-makers routinely make complex decisions under uncertain conditions, decision-making in the context of climate change can be especially challenging. Reasons include the rapid pace of changes, long time lags between human activities and response of the climate system, the high economic and political stakes, the number and diversity of potentially affected stakeholders, the need to incorporate uncertain scientific information of varying confidence levels, and the values of stakeholders and decision-makers.42,43,44 The social, economic, psychological, and political dimensions of these decisions underscore the need for ways to improve communication of scientific information and uncertainties and to help decision-makers assess risks and opportunities. Uncertainty: An “iterative adaptive risk management framework” is useful for decisions about adaptation and ways to reduce future climate change, especially given uncertainties and ongoing advances in scientific understanding.40,41 An idealized iterative adaptive risk management process includes clearly defining the issue, establishing decision criteria, identifying and incorporating relevant information, evaluating options, and monitoring and revisiting effectiveness. Climate change is one of the biggest challenges facing the Denver Water system. Due to recent and anticipated effects of climate variability and change on water availability, Denver Water faces the challenge of weighing alternative response strategies and is looking at developing options to help meet more challenging future conditions. 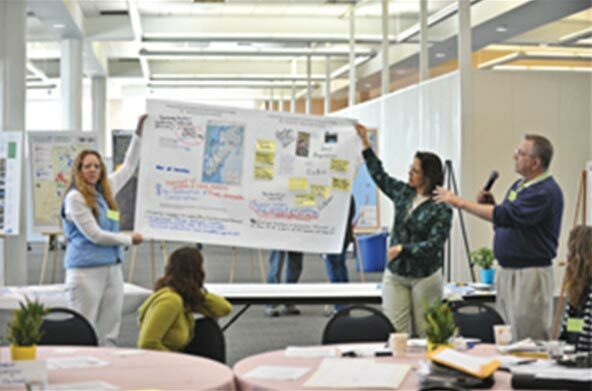 Denver Water is using scenario planning in its long-range planning process (looking out to 2050) to consider a range of plausible futures involving climate change, demographic and water use changes, and economic and regulatory changes. The strategy focuses on keeping as many future options open as possible while trying to ensure reliability of current supplies. The next step for Denver Water is to explore a more technical approach to test their existing plan and identified options against multiple climate change scenarios. Following a modified robust decision-making approach,47,48 Denver Water will test and hedge its plan and options until those options demonstrate that they can sufficiently handle a range of projected climate conditions.